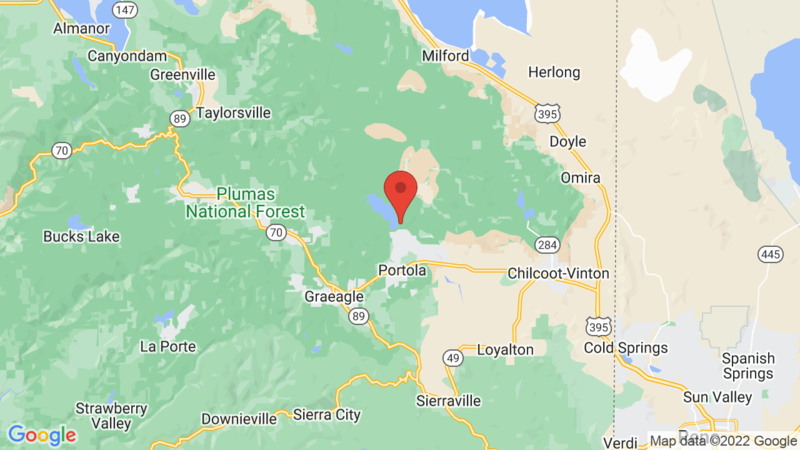 Grizzly Campground is one of three campgrounds located in the Plumas National Forest on Lake Davis and has 55 sites for tents, trailers and RVs. Each campsite has nice shade from the tall pine trees, as well as a table, fire ring and grill. The campground has drinking water and flush toilets. There are no showers, but you can grab one over at Grasshopper Flat campground. There is also a sanitation dump station is about 1/4 mile from Grasshopper Flat. Campers can stay up to 14 days. There’s a 2 vehicle and 6 person limit per campsite. Firewood is also available for sale at the campground. Lake Davis has 4,000-acre feet and 32 miles of shoreline for visitors to enjoy. On the water recreation includes boating, fishing, canoeing, kayaking swimming and other water sports. On the land you can enjoy hiking, mountain biking, picnicking, hunting and wildlife viewing. The winter months are also popular for ice fishing, snowmobiling and cross-country skiing. The two other campgrounds at Lake Davis are Lightning Tree Campground and Grasshopper Flat Campground. Visted Grizzly Campground lately? We'd love to hear about your adventure. Did you find us useful? Did we forget something? Anything our community should know before heading out to Grizzly? Just came back from camping at Grizzly Campground at Lake Davis. Site 10 is very large so it doesn’t feel like you are on top of folks. Within walking distance to the lake although a long walk if you are with a kayak. Camp hosts Lorraine and Ray were very nice super friendly and assisted with taking a lost dog around the campsite to find it’s owner. Thankfully the hunt ended in success. Sites 40 and 44 are also very good sites. The lake is beautiful.